PresentationRigshospitaletOptALI Industry Day, June 1-2, 2015, Copenhagen (Lyngby). Technical University of Denmark, Main building (101), Meeting center, room S9. The Management Science division is happy to announce the OptALI Industry Day (spanning two days!!) taking place June 2015 at the Technical University of Denmark in Copenhagen (DTU) in Lyngby. The intention of the meeting is to be a platform for exchange of challenges and ideas between industry and academia. Although being part of the OptALI project the meeting is open for all. We welcome participation from academia as well as industry. Jesper Larsen, Richard Lusby, Thomas Stidsen, Berit Brouer and Simon Bull (the OptALI team at the Department of Management Engineering). For registration and further information please contact Jesper Larsen (jesla at dtu.dk). Participation in the meeting is free of charge. You are also welcome to submit your abstract by email to Jesper Larsen (jesla at dtu.dk). Abstracts must be written in English and contain no more than 1,500 characters (no formulas or mathematical notations are allowed). The subject of your email should be “Abstract” and should contain the following information: title, authors (with speaker being the first author), affiliation of the speaker and the abstract it self. On-site registration is available from 9.00 on the first day. The meeting will start at 9.20 Monday 1 June with a small welcome and the regular program will then start at 9.30. The meeting will finish at 15.30 on the following day. 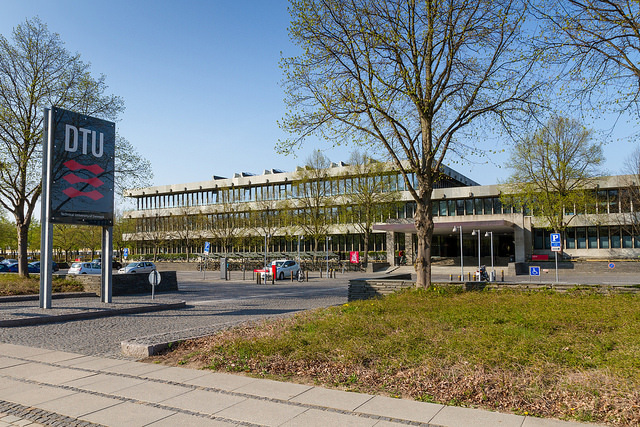 The meeting will take place at DTU in the meeting center in the DTU main administration building. DTU is placed in Lyngby a northern suburd of Copenhagen. In Lyngby there is basically only one hotel, the Scandic Eremitage, and unless they have a special offer this is not a cheap hotel. From the Scandic Eremitage it is a about a 15 minute walk to the DTU campus. Alternatively one might stay in Copenhagen with its wide range of hotels in different price categories. Staying close to one of the main stations will give you roughly 20 minutes of transportation to get to DTU. Main stations are: Copenhagen Central, Vesterport, Nørreport, Østerport. For getting to DTU from Copenhagen there are basically two options. Take the 150S or 173E bus from Nørreport. This bus goes to DTU (and further north) along the Northern motorway. It will stop at a bus stop close to DTU on the motorway (see picture below). From here it is a 5 min walk to the DTU meeting center. When you get to the main building of DTU use entrance A and take the first door on the right, then you enter the meeting center of DTU. Here the Industry Days will be in room S9 which is the first room on the right as soon as you enter the meeting center. The meeting is supported by the Association of European OR societies – EURO.